Song, L., Smola, A., Gretton, A., Bedo, J., Borgwardt, K.
We introduce a framework of feature selection based on dependence maximization between the selected features and the labels of an estimation problem, using the Hilbert-Schmidt Independence Criterion. The key idea is that good features should be highly dependent on the labels. Our approach leads to a greedy procedure for feature selection. We show that a number of existing feature selectors are special cases of this framework. Experiments on both artificial and real-world data show that our feature selector works well in practice. Karaletsos, T., Stegle, O., Dreyer, C., Winn, J., Borgwardt, K.
Motivation: Accurate large-scale phenotyping has recently gained considerable importance in biology. For example, in genome wide association studies technological advances have rendered genotyping cheap, leaving phenotype acquisition as the major bottleneck. Automatic image analysis is one major strategy to phenotype individuals in large numbers. Current approaches for visual phenotyping focus predominantly on summarizing statistics and geometric measures, such as height and width of an individual, or color histograms and patterns. However, more subtle, but biologically informative phenotypes, such as the local deformation of the shape of an individual with respect to the population mean cannot be automatically extracted and quantified by current techniques. Results: We propose a probabilistic machine learning model that allows for the extraction of deformation phenotypes from biological images, making them available as quantitative traits for downstream analysis. Our approach jointly models a collection of images using a learned common template that is mapped onto each image through a deformable smooth transformation. In a case study we analyze the shape deformations of 388 guppy fish (Poecilia reticulata). We find that the flexible shape phenotypes our model extracts are complementary to basic geometric measures. Moreover, these quantitative traits assort the observations into distinct groups and can be mapped to polymorphic genetic loci of the sample set. Putzeys, T., Bethge, M., Wichmann, F., Wagemans, J., Goris, R.
Several studies have reported optimal population decoding of sensory responses in two-alternative visual discrimination tasks. Such decoding involves integrating noisy neural responses into a more reliable representation of the likelihood that the stimuli under consideration evoked the observed responses. Importantly, an ideal observer must be able to evaluate likelihood with high precision and only consider the likelihood of the two relevant stimuli involved in the discrimination task. We report a new perceptual bias suggesting that observers read out the likelihood representation with remarkably low precision when discriminating grating spatial frequencies. Using spectrally filtered noise, we induced an asymmetry in the likelihood function of spatial frequency. This manipulation mainly affects the likelihood of spatial frequencies that are irrelevant to the task at hand. Nevertheless, we find a significant shift in perceived grating frequency, indicating that observers evaluate likelihoods of a broad range of irrelevant frequencies and discard prior knowledge of stimulus alternatives when performing two-alternative discrimination. he genetic basis of gene expression variation has long been studied with the aim to understand the landscape of regulatory variants, but also more recently to assist in the interpretation and elucidation of disease signals. To date, many studies have looked in specific tissues and population-based samples, but there has been limited assessment of the degree of inter-population variability in regulatory variation. We analyzed genome-wide gene expression in lymphoblastoid cell lines from a total of 726 individuals from 8 global populations from the HapMap3 project and correlated gene expression levels with HapMap3 SNPs located in cis to the genes. We describe the influence of ancestry on gene expression levels within and between these diverse human populations and uncover a non-negligible impact on global patterns of gene expression. We further dissect the specific functional pathways differentiated between populations. We also identify 5,691 expression quantitative trait loci (eQTLs) after controlling for both non-genetic factors and population admixture and observe that half of the cis-eQTLs are replicated in one or more of the populations. We highlight patterns of eQTL-sharing between populations, which are partially determined by population genetic relatedness, and discover significant sharing of eQTL effects between Asians, European-admixed, and African subpopulations. Specifically, we observe that both the effect size and the direction of effect for eQTLs are highly conserved across populations. We observe an increasing proximity of eQTLs toward the transcription start site as sharing of eQTLs among populations increases, highlighting that variants close to TSS have stronger effects and therefore are more likely to be detected across a wider panel of populations. Together these results offer a unique picture and resource of the degree of differentiation among human populations in functional regulatory variation and provide an estimate for the transferability of complex trait variants across populations. We propose a framework for analyzing and comparing distributions, which we use to construct statistical tests to determine if two samples are drawn from different distributions. 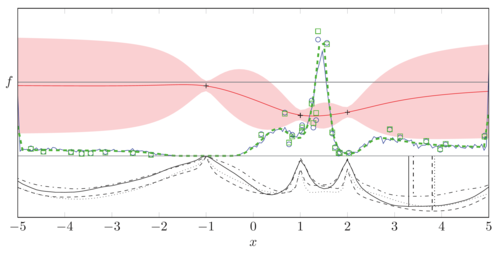 Our test statistic is the largest difference in expectations over functions in the unit ball of a reproducing kernel Hilbert space (RKHS), and is called the maximum mean discrepancy (MMD). We present two distribution-free tests based on large deviation bounds for the MMD, and a third test based on the asymptotic distribution of this statistic. The MMD can be computed in quadratic time, although efficient linear time approximations are available. Our statistic is an instance of an integral probability metric, and various classical metrics on distributions are obtained when alternative function classes are used in place of an RKHS. We apply our two-sample tests to a variety of problems, including attribute matching for databases using the Hungarian marriage method, where they perform strongly. Excellent performance is also obtained when comparing distributions over graphs, for which these are the first such tests. Kolb, A., Wehrl, H., Hofmann, M., Judenhofer, M., Eriksson, L., Ladebeck, R., Lichy, M., Byars, L., Michel, C., Schlemmer, H., Schmand, M., Claussen, C., Sossi, V., Pichler, B. 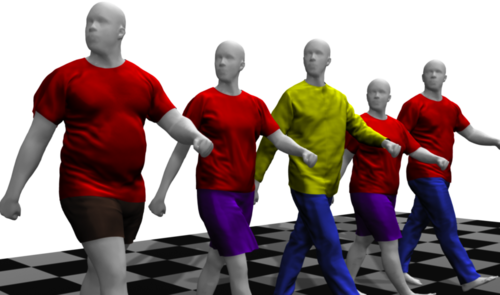 We describe RTblob, a high speed vision system that detects objects in cluttered scenes based on their color and shape at a speed of over 800 frames/s. Because the system is available as open-source software and relies only on off-the-shelf PC hardware components, it can provide the basis for multiple application scenarios. As an illustrative example, we show how RTblob can be used in a robotic table tennis scenario to estimate ball trajectories through 3D space simultaneously from four cameras images at a speed of 200 Hz. In high-dimensional directional statistics one of the most basic probability distributions is the von Mises-Fisher (vMF) distribution. Maximum likelihood estimation for the vMF distribution turns out to be surprisingly hard because of a difficult transcendental equation that needs to be solved for computing the concentration parameter κ. This paper is a followup to the recent paper of Tanabe et al. (Comput Stat 22(1):145–157, 2007), who exploited inequalities about Bessel function ratios to obtain an interval in which the parameter estimate for κ should lie; their observation lends theoretical validity to the heuristic approximation of Banerjee et al. (JMLR 6:1345–1382, 2005). Tanabe et al. (Comput Stat 22(1):145–157, 2007) also presented a fixed-point algorithm for computing improved approximations for κ. However, their approximations require (potentially significant) additional computation, and in this short paper we show that given the same amount of computation as their method, one can achieve more accurate approximations using a truncated Newton method. A more interesting contribution of this paper is a simple algorithm for computing I s (x): the modified Bessel function of the first kind. Surprisingly, our naïve implementation turns out to be several orders of magnitude faster for large arguments common to high-dimensional data, than the standard implementations in well-established software such as Mathematica ©, Maple ©, and Gp/Pari. We report on the development and online testing of an electroencephalogram-based brain–computer interface (BCI) that aims to be usable by completely paralysed users—for whom visual or motor-system-based BCIs may not be suitable, and among whom reports of successful BCI use have so far been very rare. The current approach exploits covert shifts of attention to auditory stimuli in a dichotic-listening stimulus design. To compare the efficacy of event-related potentials (ERPs) and steady-state auditory evoked potentials (SSAEPs), the stimuli were designed such that they elicited both ERPs and SSAEPs simultaneously. Trial-by-trial feedback was provided online, based on subjects' modulation of N1 and P3 ERP components measured during single 5 s stimulation intervals. All 13 healthy subjects were able to use the BCI, with performance in a binary left/right choice task ranging from 75% to 96% correct across subjects (mean 85%). BCI classification was based on the contrast between stimuli in the attended stream and stimuli in the unattended stream, making use of every stimulus, rather than contrasting frequent standard and rare 'oddball' stimuli. SSAEPs were assessed offline: for all subjects, spectral components at the two exactly known modulation frequencies allowed discrimination of pre-stimulus from stimulus intervals, and of left-only stimuli from right-only stimuli when one side of the dichotic stimulus pair was muted. However, attention modulation of SSAEPs was not sufficient for single-trial BCI communication, even when the subject's attention was clearly focused well enough to allow classification of the same trials via ERPs. ERPs clearly provided a superior basis for BCI. The ERP results are a promising step towards the development of a simple-to-use, reliable yes/no communication system for users in the most severely paralysed states, as well as potential attention-monitoring and -training applications outside the context of assistive technology. Kim, D., Sra, S., Dhillon, I. S.
Gomez Rodriguez, M., Leskovec, J., Krause, A. Information diffusion and virus propagation are fundamental processes taking place in networks. While it is often possible to directly observe when nodes become infected with a virus or publish the information, observing individual transmissions (who infects whom, or who influences whom) is typically very difficult. Furthermore, in many applications, the underlying network over which the diffusions and propagations spread is actually unobserved. We tackle these challenges by developing a method for tracing paths of diffusion and influence through networks and inferring the networks over which contagions propagate. Given the times when nodes adopt pieces of information or become infected, we identify the optimal network that best explains the observed infection times. Since the optimization problem is NP-hard to solve exactly, we develop an efficient approximation algorithm that scales to large datasets and finds provably near-optimal networks. We demonstrate the effectiveness of our approach by tracing information diffusion in a set of 170 million blogs and news articles over a one year period to infer how information flows through the online media space. We find that the diffusion network of news for the top 1,000 media sites and blogs tends to have a core-periphery structure with a small set of core media sites that diffuse information to the rest of the Web. These sites tend to have stable circles of influence with more general news media sites acting as connectors between them. Stegle, O., Parts, L., Piipari, M., Winn, J., Durbin, R.
We present PEER (probabilistic estimation of expression residuals), a software package implementing statistical models that improve the sensitivity and interpretability of genetic associations in population-scale expression data. This approach builds on factor analysis methods that infer broad variance components in the measurements. PEER takes as input transcript profiles and covariates from a set of individuals, and then outputs hidden factors that explain much of the expression variability. Optionally, these factors can be interpreted as pathway or transcription factor activations by providing prior information about which genes are involved in the pathway or targeted by the factor. The inferred factors are used in genetic association analyses. First, they are treated as additional covariates, and are included in the model to increase detection power for mapping expression traits. Second, they are analyzed as phenotypes themselves to understand the causes of global expression variability. PEER extends previous related surrogate variable models and can be implemented within hours on a desktop computer. Brain–computer interface (BCI) systems are usually applied in highly controlled environments such as research laboratories or clinical setups. However, many BCI-based applications are implemented in more complex environments. For example, patients might want to use a BCI system at home, and users without disabilities could benefit from BCI systems in special working environments. In these contexts, it might be more difficult to reliably infer information about brain activity, because many intervening factors add up and disturb the BCI feature space. One solution for this problem would be adding context awareness to the system. We propose to augment the available information space with additional channels carrying information about the user state, the environment and the technical system. In particular, passive BCI systems seem to be capable of adding highly relevant context information—otherwise covert aspects of user state. In this paper, we present a theoretical framework based on general human–machine system research for adding context awareness to a BCI system. Building on that, we present results from a study on a passive BCI, which allows access to the covert aspect of user state related to the perceived loss of control. This study is a proof of concept and demonstrates that context awareness could beneficially be implemented in and combined with a BCI system or a general human–machine system. The EEG data from this experiment are available for public download at www.phypa.org. Bubeck, S., Meila, M., von Luxburg, U.
Fusi, N., Stegle, O., Lawrence, ND. Expression quantitative trait loci (eQTL) studies are an integral tool to investigate the genetic component of gene expression variation. A major challenge in the analysis of such studies are hidden confounding factors, such as unobserved covariates or unknown subtle environmental perturbations. These factors can induce a pronounced artifactual correlation structure in the expression profiles, which may create spurious false associations or mask real genetic association signals. Here, we report PANAMA (Probabilistic ANAlysis of genoMic dAta), a novel probabilistic model to account for confounding factors within an eQTL analysis. In contrast to previous methods, PANAMA learns hidden factors jointly with the effect of prominent genetic regulators. As a result, this new model can more accurately distinguish true genetic association signals from confounding variation. We applied our model and compared it to existing methods on different datasets and biological systems. PANAMA consistently performs better than alternative methods, and finds in particular substantially more trans regulators. Importantly, our approach not only identifies a greater number of associations, but also yields hits that are biologically more plausible and can be better reproduced between independent studies. A software implementation of PANAMA is freely available online at http://ml.sheffield.ac.uk/qtl/. Rakitsch, B., Lippert, C., Stegle, O., Borgwardt, KM. Sriperumbudur, B., Fukumizu, K., Gretton, A., Schölkopf, B., Lanckriet, G.
Lois, C., Bezrukov, I., Schmidt, H., Schwenzer, N., Werner, M., Kupferschläger, J., Beyer, T.
Computational Biology provides a wide range of applications for Multitask Learning (MTL) methods. As the generation of labels often is very costly in the biomedical domain, combining data from diﬀerent related problems or tasks is a promising strategy to reduce label cost. In this paper, we present two problems from sequence biology, where MTL was successfully applied. For this, we use regularization-based MTL methods, with a special focus on the case of a hierarchical relationship between tasks. Furthermore, we propose strategies to reﬁne the measure of task relatedness, which is of central importance in MTL and ﬁnally give some practical guidelines, when MTL strategies are likely to pay oﬀ. Listgarten, J., Lippert, C., Kadie, CM., Davidson, RI., Eskin, E., Heckerman, D.
Kalev, I., Mechelke, M., Kopec, K., Holder, T., Carstens, S., Habeck, M.
Summary: Computational Structural Biology Toolbox (CSB) is a cross-platform Python class library for reading, storing and analyzing biomolecular structures with rich support for statistical analyses. CSB is designed for reusability and extensibility and comes with a clean, well-documented API following good object-oriented engineering practice. Availability: Stable release packages are available for download from the Python Package Index (PyPI), as well as from the project’s web site http://csb.codeplex.com. Yu, S., Woo, H. S., Son, H. I., Ahn, W., Jung, H., Lee, D. Y., Yi, S. Y.
Zscheischler, J., Mahecha, M., von Buttlar, J., Harmeling, S., Jung, M., Randerson, J., Reichstein, M.